Featuring food-grade, fully stainless steel construction, the Avery Weigh-Tronix ZQ375 Checkweigher is a highly efficient solution for the food industry and beyond. The AWTX ZQ375 Over/Under Checkweigher can help you to maximize performance and profitability while meeting strict legislative requirements. The Quick Check ZQ375 is the latest innovation in checkweighing from Avery Weigh-Tronix. Featuring food-grade, stainless steel construction, the ZQ375 Checkweigher is a highly efficient solution for the food industry and beyond. From complete visibility of weighing data and statistics, to fast, effective, simple checkweighing, the ZQ375 can help you to maximize performance and profitability while meeting the strictest of legislative requirements. 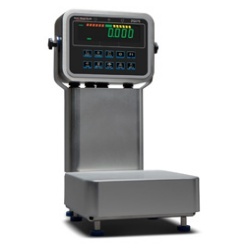 Certified by NSF to NSF/ANSI Standard 3-A, the ZQ375 Checkweigher has been specifically designed to meet the stringent hygiene requirements of the food processing industry. IP69K rated for heavy washdown environments. The ZQ375 checkweigher features a highly visible, low power draw IBN display, which offers ease of viewing in all lighting conditions. Its large, nine segment digits and coloured multi-segmented under/overweight graph give the operator a fast visual indication of weight which is user friendly, yet highly accurate. This checkweigher is legal for trade, making it suitable for use in commercial applications where product is sold by weight. 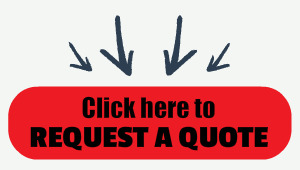 It is available in a range of sizes and capacities from 6lb to 500lbs (3kg to 200kg). With multi-connectivity options, the ZQ375 provides you with the information you need through Wireless, USB or Ethernet to maximise performance and profitability. All ZQ375 Checkweighers can be supplied without bench column and 10ft of loadcell cable at the same cost.